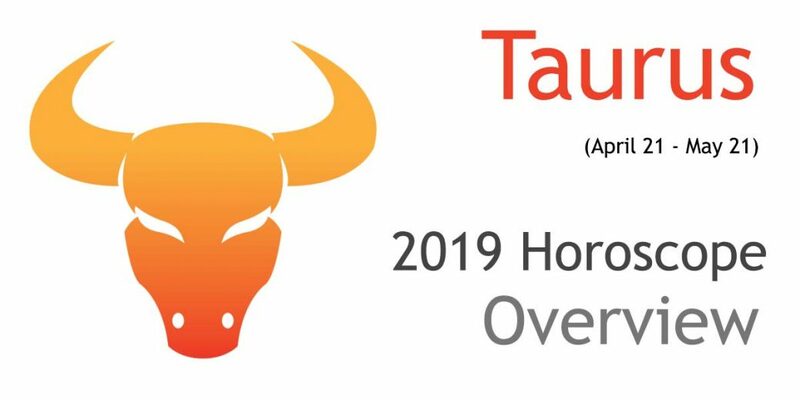 Year 2019 sets the tone for self transformation and finding a new identity or a new home for yourself, dear Taurus. The months of February, March and November will each be important and each help set the tone of your year. Spiritual sojourn is in the cards. You may find yourself drawn to looking inward and you may tend to take a dive and seek the inner self, leading to a phase of introspection. The meaning of your existence and the validity of your choices will be contemplated and questioned. On the health front, chronic and mysterious illnesses may crop up. There will be several visits to medical care professionals, nursing homes, retreats and even prisons in worst cases. A change in surroundings is possible, perhaps a move or a job relocation or just domestic repairs and renovations. You now come face to face with your self-defeating approaches and blind faith/ideals/fundamentals. You are likely to spend 2019 analyzing your goals and ambitions. You may find yourself stuck in a rut and have a blurred vision for future. If so, try working to answer this essential question – what kind of future am I working towards, and why? Once this is determined, dedicate yourself to self-improvement and the achievement of your established goals. As you seek self improvement and better prospects, you may find yourself drawn to spirituality, prayer and worship. You are endeavoring to become the more noble self you can be. Get in touch with who you really are and become more deeply devoted to some worthy causes. You now hunt for hidden purpose and deep truths and also enhance your spiritual strength and positive qualities. Though you may experience a decrease in your wealth, this is an excellent time to work on financial planning and strategy. Expect sudden gifts/opportunities. Financial gains may come through a partner. You may see gains or improvement in the areas of shared finances, joint possessions, inheritance, loans and taxes. Now all of this may be too confusing and too out of control at times, but it will be fun and you’ll appreciate where you end up by the end of the year. Your intellect and mental alacrity is respected by everyone around you. People involved in the research and development sector may find unexpected success and be lucky enough to be a part of some new research or invention. You are about to stumble upon new prospects. Change is the essence of life, so be flexible. Interesting developments that are in store. Safeguard yourself from getting trapped in any kind of debt and risky ventures. Have faith in yourself; if you have enough push, you don’t have to worry about the pull. Those who are pursuing formal studies or are in the field of formal studies can count on some recognition now. The will to win is important, but the will to prepare is vital. Your truthfulness and power of judgment is admired and respected by every single person. New experiences, dreams and ideas are all favored. This is the right time for you to spread your wings and fly high. By the end of the year 2019, you’ll have a clear vision of what you stand for and hope for. You’ll have re-built faith and confidence in yourself and move ahead at a great speed and strength. You also find yourself totally immersed in emotional and sensitive matters that are close to your heart. A cheerful mood, good health and a youthful rested spirit help you to put your best foot forward. Do not get embroiled in minor issues with your enemies; save your energy for the real challenges. Discontent with your situation in life could come to forefront but presenting the right ideas at right time and at right place helps you to achieve success. Stay firm on the ground and aim for the sky! Any chance to have ahouse of my own and get into relationship with arich man. you were right , i put my dreams to the side..and i thank you for telling me what, i have to do now. lets see hope all things go according to this prediction. I am looking forward to the beginning of this next century!!! Im in a depression now becouse of my manager . I was thinking myself good at my work last week .ButIm thinking myself as an unsuccesful person now. At least my manager think so………. Nothing correct.Going through really difficult times this year. I have gone through all about Taurus for 2009. I am enthused to know that a good year 2009 for me. I wrote in English a novel on the life of the greatest Sanskrit poet ‘Kalidas.’I am inquisitive to know the fate of my book.Will it gain publicity? I stronly beleive in astrology.Millions of thanks for providing dis at fingertip.Dis horoscope is most reliable one. This is for the first time I have logged on to this website. The predictions are in line with that of other astrologers. Nice to have such a new experience. Hope the predictions will click. Good way to prepare our souls. Well done. Will be your client throughout the year. Good Job , Please keep it up .